All I want only your comment. Great news buddy congrats. 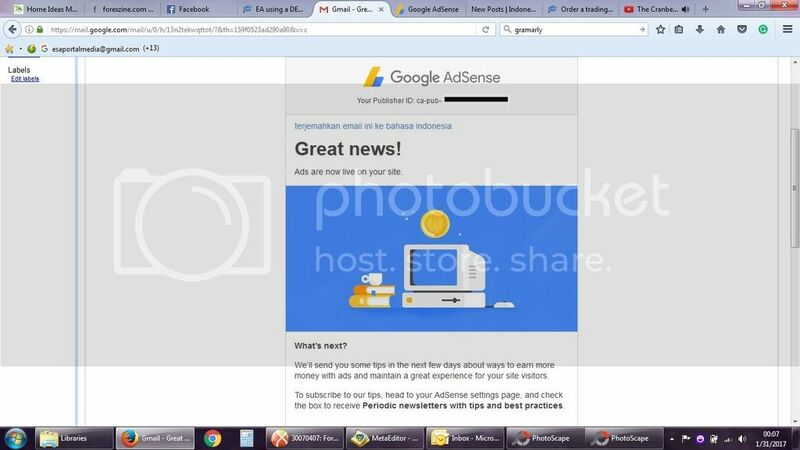 You don't realize how lucky you are these days to get approved for an #Adsense account. In my own experience with Adsense, the earning is getting smaller with Google's newest rules such Panda, Penguin and Hummingbird. that,s a great news mate but i want to know from you that how you adjust the price for your ads would you please define me briefly because price setting is the most important thing in adsense. You are actually lucky to have your AdSense approved these days because of their strict policies and terms of services. Use it wisely or you will have it banned! Congratulations. Great news, that you got approved from adsense i tried 3-4 times but failed to get in. wish you all the best for your earning.